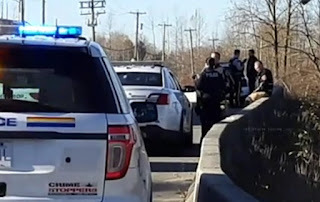 The Peace Arch News reported that "Police are on scene after a body was discovered beneath the Golden Ears Bridge in Maple Ridge Sunday. The discovery was made just before 11:30 a.m. just west of Wharf Street and Hazelwood Street. The Maple Ridge Fire Department called for the RCMP shortly after arriving on scene. 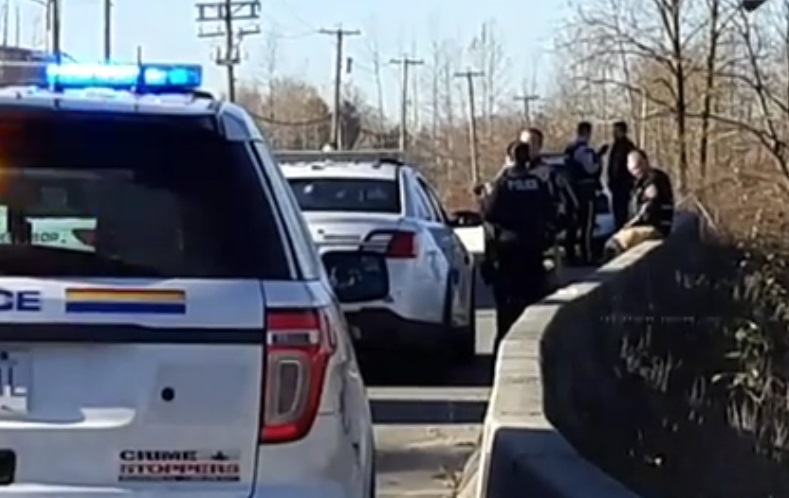 Inspector Vishal Methura, regional duty officer for the Lower Mainland district, said police discovered a man lying face down, deceased." "Several men wearing Hells Angels insignia arrived on scene, crossing the police tape to talk to investigators." LOL I gotta tell that one to George Christie. Whatever happened to we don't call 911? Not in BC. In BC the HAs have the Po Po in their pocket. They have Wolf Pack drug dealers in witness protection that get police escorts when they sell cocaine. Now that's f*cked up. While I was out at Harrison soaring with the eagles the chickens came home to roost. Give it up for the red, white (and blue). The new po po hoes yo. The new Hells Angels support gear have just added another color to their team. It's the boys in blue. 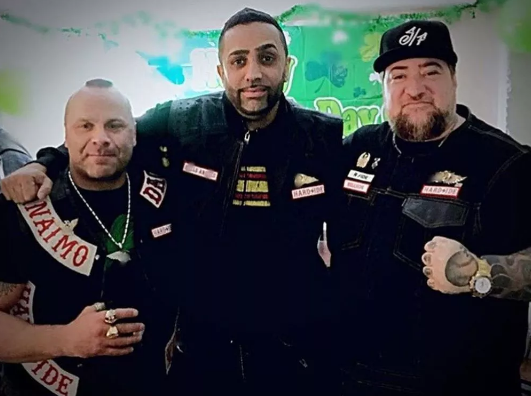 Kim Bolan is reporting that since the compromised BC Gang task force won't arrest Hells Angel associates for drug trafficking, Manitoba has to. Manitoba confronts illicit drugs while BC doesn't. Update: Kim Bolan is confirming rumors that the victim in Maple Ridge was a full patch Hells Angel named Chad Wilson aka Huey as in Huey, Dewey, and Louie from the Hardside chapter which formed off of Haney. The Hardside chapter are trying to run the drug trade in Surrey since the Surrey Girls are completely useless. Sounds like the Duck Dynasty decoy will be next. There ain't enough Viagra on the planet to make those wet noodles hard. Chad just about lost his patch in the States for testifying in Wyoming court. That's why he was sent to Canada. I guess they don't just send their draft dodgers here, they send their po po hoes here too. Chad's friends were awfully quick to cooperate with the police. That's the way the red and white roll in BC. As soon as people start bustin caps they be running to the police for help faster than 50 Cent. Evidently there's going to be a large police presence at the funeral. They're joining the procession with the mourners. Just don't let Rainbow Ricky lead that pride parade. Sorry boys and girls but this is how it's supposed to be done. No public shooting. They took the guy aside, shot him dead then dumped him in the other guys turf saying here's your boy. No civilians hit or traumatized, no indignities to a human body, just straight up business. No wonder his friends called the police as soon as he went missing. Chad Wilson was no Bob Green. He was simply a floater. Just another short fro ho pimping for the Po Po. This is what happens when the soft side comes to Surrey. 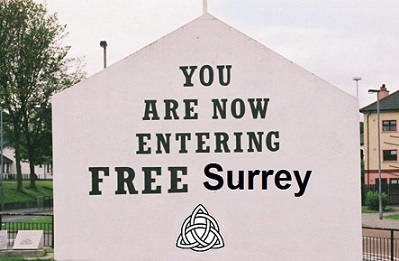 Let is be known that Surrey is Free. The murder was obviously related to expanding the drug trade into new markets. Chad got off lucky in Spain. This time he wasn't so lucky. Buyer Beware. Pride cometh before the fall. The headline in today's paper read "Police Brace for more violence after Hells Angel murdered." STFU. Maybe if drug and gang enforcement in BC wasn't so compromised the police might take proactive steps to end the drug related violence instead of doing nothing except bracing themselves for more violence. That is absolutely pathetic. The guy was a nobody. He almost lost his patch in the States. Give your head a shake. Don't you dare compare this idiot with Bob Green. That is missrepresentation. I'm sure there's more to come on this one...HA showing up at the scene of the crime and crossing the police tape to talk to investigators, LOL. Thanks for the link. That confirms the rumor. Possible, but I doubt it up here. It'd be too easy for them to get caught. They need to scan their passports crossing the border. Whoever did it had enough local knowledge to leave the body on Spike's doorstep as if to say, "Stay on your side of the river." A moot point but how did this individual gain entry, yet alone residency to Canada given his extensive, indeed ongoing criminal history and activity? He must be a Canadian originally. One of his charges in the US was an alien in possession of a firearm. That means he's not an American citizen. Hardside are trying to take over the drug trade in Surrey and Surrey said no. Now the Softside wants Witness Protection just like the Cub pack has. Who are the other players there? No they just run the drugs out of Shakerz outside the Front Room on the Surrey Strip and in Panchos. The rest of Surrey is a free for all. That hardside chapter dont look too hard to me. Since when did HA let brown people in the club? If they think diversitynis their strength expect more Ha's gettin waxed. Ah how the mighty have fallen. Looks good on them. Nanaimo chapter has an Indo Canadian. Cali ha a Japanese member and San Fran has some Latinos. The brown guy is the only one of the three in that picture with a brain. The other two clowns look like soft hillbillies. Blaze: If you can't understand the difference between Bob Green and and Chad Wilson, I can't explain it to you. You'll never understand. There's something missing in your DNA. Wow, 15 comments. Maybe we should have an HA get capped more often. That's not including the troll sh*t which isn't worth anyone's time especially mine. Most people read without commenting because of the trolls. A few years ago Kim Bolan was speaking at a gang symposium at QE hosted by Eileen Mohan. Kim said her blog got over 200,000 hits a month. I thought wait a minute, my blog gets that. I thought Kim's blog had way more traffic because of the number of comments she gets. More people comment when you don't have to register and Kim has numerous trolls that spam her blog. I'm just not into that. My blog is different than hers. Yet my blog has over 23 million hits and the traffic on this post specifically is staggering. Not that it matters. Nope. They wouldn't have dumped the body on Spike's doorstep if it was internal. The Softside want witness protection just like the Cub pack has because they are useless. When is the funeral planned. I figured they would have buried him by now. I have no idea. I don't cover funerals. I let them bury their dead in peace. As you say, one would think they have buried him by now. Who is Spike? Michael Hadden. President of the Haney Hells Angels. Father of Jesse Hadden. Founder of Haney Hawgs right beside the pot dispensary. Keep saying that, someone will believe it. I don't. I live here. Where are the Outlaws in Surrey? We don't see them. No one is riding around with patches on. They might have a few prospects in some small town in rural BC but not in Surrey. The Outlaws did not do this hit. It was about drug trafficking in Surrey. When they say BC I think they have a couple of prospects in Salmon Arm.